I'm officially joining card-counters anonymous. I'm serious, Spirit Mountain here I come. Can it honestly be that hard? I've still got the mnemonic device in my head. 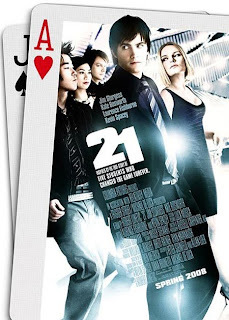 Actually, I know that it's a lot harder than it looks but the movie "21" based loosely on the book, "Bringing Down the House," was very entertaining. Had it not been true I don't know if it would have had the same impact because it lacks much of the draw of other casino movies like Oceans Eleven. But, the simple fact that some college students from MIT made hundreds of thousands of dollars doing something that wasn't even illegal was pretty impressive. I think I've told you enough about the movie without ruining it. Apparently some thought the film should have cast more Asian-Americans as the actual MIT Blackjack team was primarily Asian-American. It didn't get the craziest reviews but like I said the fact that it's based on a true story kept my attention. So...go see the movie and then see if you want to join me! 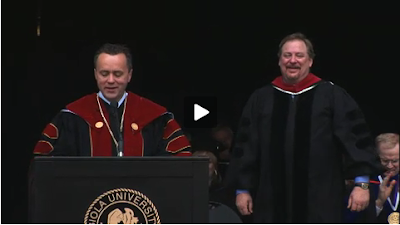 My dad had the distinct honor to sit on stage at Biola's centennial graduation ceremony right next to Rick Warren. Yep, there's my dad in the bottom right next to the Pope himself, how cool is that? Want some dirt on the dude? No? I'll give you some anyways. This is only juicy if you're a church nerd like myself and wonder what these people chat about sitting on stage. Apparently he preaches 26 weekends a year at Saddleback and spends the rest of his time away focusing on, the things he cares most about these days, their work around the world with the P.E.A.C.E plan. Check it out! My heart is in such angst regarding, what I believe to be, one of the most important questions a Christ-follower has to answer and that being, 'what is the fate of those who have never heard?' I have said for some time that the answer to this question determines the direction and focus of my life perhaps more than any other issue. As it currently stands I have an answer yet I still find myself searching for a deeper level of conviction on that answer. I'm really open to being wrong. It could simply be my perception but it seems lately that more and more Christ-followers with an audience are shifting answers in regards to this question including but not limited to Peter Kreeft, Brian McLaren and Rob Bell. What do you think? Actually I don't care that much what you think any more than I put stock in what I think. What does scripture say? What scripture relates to this? If you ever read this thing go ahead and throw out some verses or your 2 cents. None of us have it figured out exactly but I'd value your perspective. 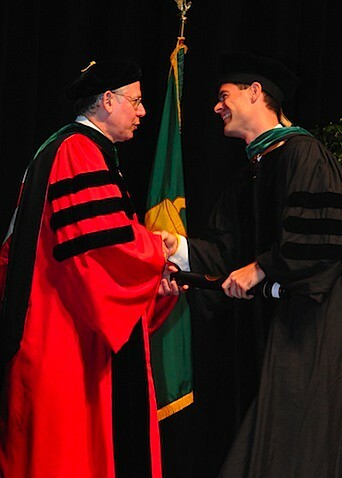 Homeboy barely made it in from Africa the night before but got his M.D./Ph.D. this past weekend, what a stud! I'll post some pictures of my mother who graduated as well when I get them! 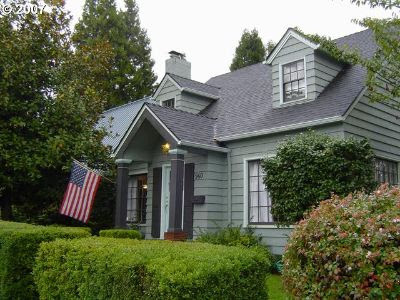 As the proud owner of a home in Salem, the following news was both surprising and encouraging, courtesy of Zillow.com Home Value Trends in Salem According to Zillow's latest Home Value Report, home values in Salem decreased 0.7% in the first quarter of 2008, compared to the first quarter of 2007. Nationally, single-family home values decreased 7.5% while condo values declined 9.0% during this same period. Sad that something that has traditionally been a solid investment is kind of struggling, happy that our random city is 10x better than the national average. A graph from my class, World Church Growth Principles and Strategies, yum yum! 1. The call to cross-cultural missions was normally a permanent one. 1. The call to cross-cultural missions is not necessarily permanent. “Long-term” for Gen Xers maxes out at four to five years! 2. Cross-cultural ministry was seen as a career. 2. Cross-cultural ministry is most likely only one portion of a career. It looks good on an evangelical resume. 3. Expected to remain in one country until retirement. 3. Can transition countries various times (I even served in two countries). 4. A B.S. degree was sufficient for my mission. 6. Mission agency decisions were unquestioned. 6. All decisions are questioned! 7. Pretty much told what to do and where to go. 7. The missionary has veto power over decisions pertaining to his/her life and ministry. 8. Kids went to boarding school. Local options rarely used but allowed on exceptional basis. 8. Few kids go to boarding school. The C&MA has withdrawn from “running” boarding school during these 35 years. Most MKs now go to local private schools. 9. Two year terms are become more common. 10. Various IRA plans with matching mission contributions. Many missionaries I know own homes! 11. Ships still used as a means of transportation to and from the field. 11. Ships no longer used. You only use ships for vacation cruises!!!!!!! 12. National Church had little if any say in the missionary’s ministry. 12. National Church has more control of the missionary’s ministry. 13. Church planting was the norm. 13. Church planting is the exception. 14. Nurturing ministry was done but not the focus. 14. Nurturing ministry is the main focus. 15. Community development and relief ministries now outnumber church planting agencies. 16. No trips to the homeland during a “term” unless there was an emergency. 16. Annual trips to the homeland are common. 17. Telegrams were the most efficient means of rapid communication - and done only on an as needed basis. 17. The Internet has replaced the telegram and the fax machine. 18. No phone in the first two homes I lived in on the field. 18. Satellite phones keep us in touch 24/7. 19. No TV; Armed Forces Radio or BBC were THE major news outlets and accessed only by Short Wave radio. 20. Rural ministries the norm. 20. Rural ministries the exception. 21. Ministry mainly among the marginalized. 21. A good portion of ministry effort is focusing on the influential and affluent classes. 22. Missionary body divided into veterans and rookies. 22. No overt divisions among missionary body (but implicit divisions still exist). 23. A plethora of specializations. 24. Cell Church was an anomaly. 24. Cell churches are becoming the norm. 25. Small, non-descript, out-of-the-way church buildings. 25. Strategically located large and attractive church buildings. 26. Short-term missionaries were an oddity. 26. Short-term missionaries now outnumber the traditional missionary. 27. “Lone Ranger” missionary model and image. 27. Almost ALL team ministries; and international teams at that! 28. “Sister Churches” and “Partnerships” are common between sending and receiving churches. 30. Big Brother mentality in vogue. 30. Big Brother mentality is thoroughly discredited.